Las Vegas, NV — If there’s one state that is unabashed about extorting its citizens through “sin” taxes, it’s Nevada. 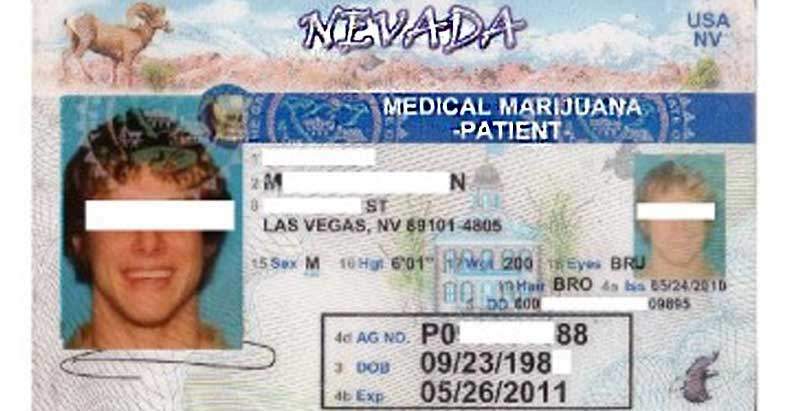 In Las Vegas and the rest of Clark County, the state charges annual fees for medical cannabis ID cards, while depriving patients of their medicine by refusing to issue licenses to dispensaries. As a result, people who cannot grow their own medicinal cannabis must rely on the black market. Many people would prefer to buy their medicine from a provider that tests the product for quality and potency. This situation has been in place since 2000 when voters approved medical cannabis. After 15 years of frustration and untold thousands collected by the state for no reason, a class action lawsuit has been filed against the state, the governor, and the Dept. of Health and Human Services (DHHS). The government’s actions constitute fraud, unjust enrichment, unequal taxation and violation of equal protections. One dispensary exists outside of Reno, six hours away from Las Vegas. Clark County’s residents account for nearly three-quarters of the state population. Even though medical cannabis was approved in 2000, including standards for purity and labeling, Nevada did not provide a “legal” way for patients to get their medication until 2013. It took the state thirteen years to enact regulations and licensing requirements. Several business licenses have been issued by the county, but the DHHS has not issued their licenses. This inaction is propping up the cannabis black market and depriving patients of quality-assured products and objective information. 6,700 patients in Clark County have gone through the expense and hassle of getting their cannabis ID cards, hoping for DHHS to get on with it. A patient must pay $200 in fees for a medical cannabis card that expires yearly, forcing another round of fees. Issuing these cards with the knowledge that no dispensaries will be licensed before the card expires is a blatant example of deception and legislating for profit. This situation is aggravated by a ludicrous part of Nevada’s cannabis laws, highlighted by one dispensary’s attempt to open in March. Euphoria Wellness was going to buy cannabis products from home growers for sale to patients, which is legal under the law. However, the law says that a home grower can only possess 2.5 ounces of “usable marijuana” at a time, which means that anyone supplying more than 2.5 ounces would be a criminal. Naturally, the shop cannot buy small amounts and hope to make a profit. Its temporary business license expired July 30, meaning they will have to pay more licensing fees in the future. The likely intent of that repressive part of Nevada’s law is to force production of medical cannabis into a corporatized model that can be heavily taxed. Home growers would provide competition. Clark County resident Sheila Gerstenzang, who suffers from constant pain due to progressive scoliosis and spinal stenosis, sums up the feelings of those stuck in this immoral situation. Gerstenzang wants to try a low-THC strain after reading that it can be an effective treatment. She got her medical cannabis ID card last year after reading about the coming dispensaries, but has waited in vain.